The conference will witness the presence of other eminent guests like Shri Jagganath Pahadia (Governor of Haryana), Shri. Bhupinder Singh Hooda (Chief Minister of Haryana), Shri M.M. Pallam Raju (Union Minister of Human Resource Department) and Shri. Shashi Tharoor Minister of State for Human Resource Department)as Guests of Honour. This conference will also have great acamedicians like Prof. Lauren Robel (Provost, Indiana University, Bloomington, USA), Prof. Ved Prakash (Chairperson, University Grants Commission, New Delhi), Prof. John Wood (Secretary General, The Association of Common Wealth Universities, London, UK), Prof.H.A. Ranganath (Director, National Assessment and Accreditation Council, Bengaluru), Prof. Dinesh Singh (ViceChancellor, DU), Prof. Devesh Kapur (Director, Institute of the Advanced Study of India, University of Pennsylvania, USA), Prof. N.R.Madhava Menon ( Former Directore, NLSIU-Bangalore and Former Vice Chancellor-NUJS Kolkata), D. Alice Prochaska (Principal, Somerville College, University of Oxford, UK), Prof. Stephen P.Marks, Prof. Dhruv Raina, Prof. Sunder Ramaswamy, Prof.Kanti Bajpai, Prof. Rohini Pande, Prof. Barbara Harris White (Oxford University), Prof. Amy BM Tsui etc. who would debate and discuss about various sub topics in the same theme. quality assessment and international benchmarks: promoting excellence in higher education; leadership and innovation in universities: institution buildin building for nation building. “One of the main focal points of the conference is to discuss and debate the situation relating to Indian universities in the context of the global universities,” a press release issued on Tuesday by Rashtrapati Bhavan said. 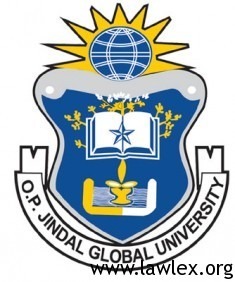 Such kind of initiative taken by O.P.Jindal Global University will for sure ignite several minds and light up the mind with the knowledge so provided by Mr. President, various ministers and the learned academicians from Universities like Oxford, Yale, NLSIU, NUJS, IIM and many more.